Kiss those Math Headaches GOODBYE! This if the first in what I hope will be a long series of brief blogs called Tutor Tales blogs. The idea is that while I’m tutoring I get ideas or insights on how to help students, and then I write up a short blog entry on that experience, preferably on the day that the event occurred. I hope that these Tutor Tales will give you examples of approaches to math that help students (or that do not help, depending on what I did), and that they give you a chance to reflect on your own teaching. 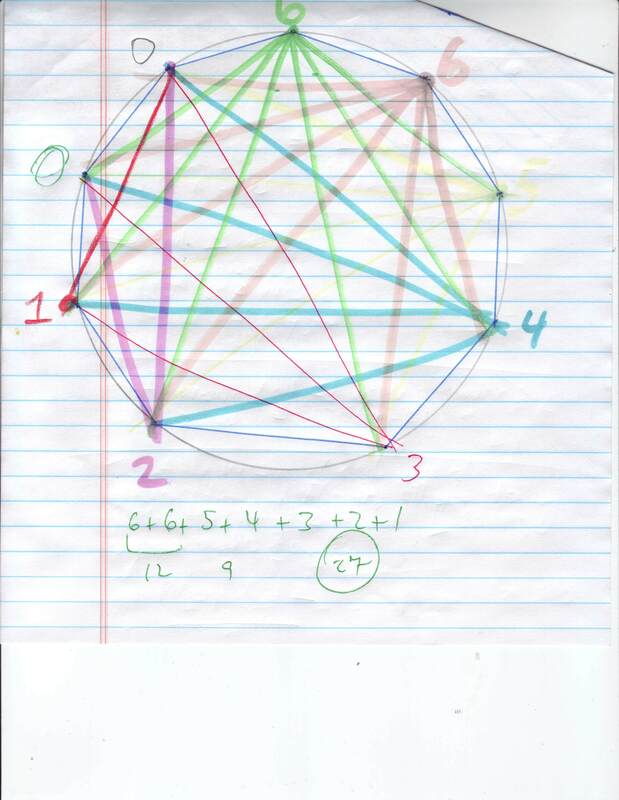 For the first Tutor Tale entry, I just noticed how useful it can be to use color in geometry. The girl I was tutoring had a problem: Find out how many diagonals can be drawn inside a regular, convex nine-sided polygon. I’ve already noticed that this girl likes color, and she is 17 years old. So I had a hunch that she would be open to trying a color-approach. We created the non-agon by first drawing a circle, and then marking off nine points on the circle. Then we connected the points sequentially. To find out how many diagonals we could draw for such a figure, we chose one color for the top point, green, and drew all of the diagonals we could for that point, in green. It turned out that there were 6 diagonals, so we put a big 6 in green at this vertex. Then we tried the next vertex, which we colored pink. We found that we could create 6 additional diagonals from this vertex, and we colored these pink. So we put a big pink 6 by this vertex. We went around the circle in a clockwise way, using a different color for each vertex. All in all we found that the pattern of diagonals was: 6, 6, 5, 4, 3, 2, 1, 0, 0, for a grand total of 27 diagonals. Here’s the image of the figure we worked on. One thing to consider, especially if you teach geometry, is how many opportunities there are in geometry to use color to separate different concepts and to relate similar concepts. Check it out and see what you discover. Comic-style math book teaches how integers work. Visit SingingTurtle.com to see ALL our products…more on the way! 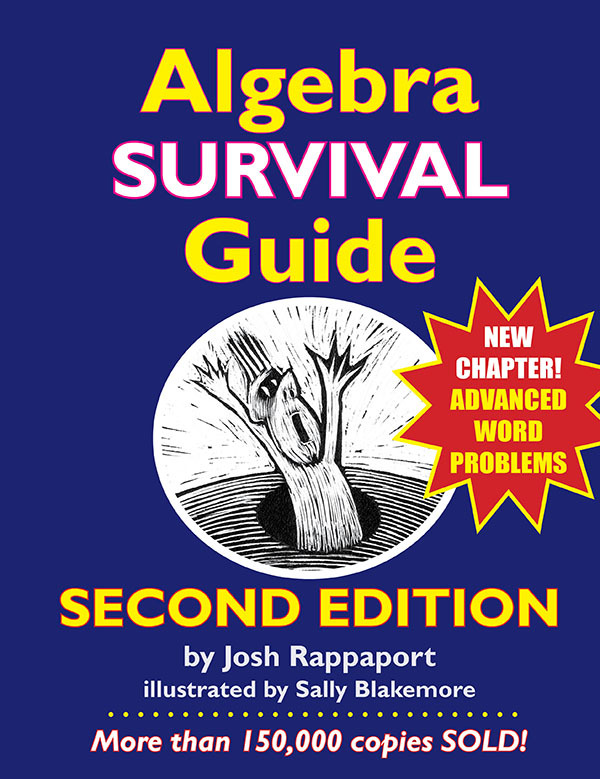 Josh Rappaport TUTORS students ONLINE!